Tiled images on the Trellis home page are a reflection of what’s happening in website design today. Feel the influence of sites like Pinterest and present striking visual images on your website to stand out from the crowd. Our demonstration site uses three images at the top and more near the bottom. Your site could incorporate more or fewer images. 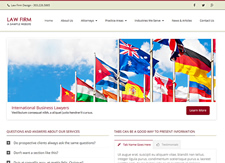 Trellis is a flexible WordPress template for law firms. 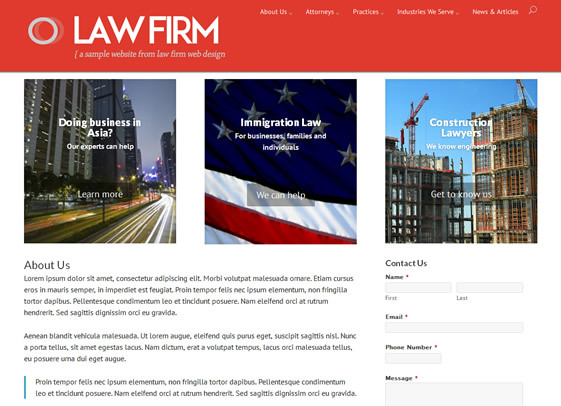 This design theme can be customized for firms of any size. 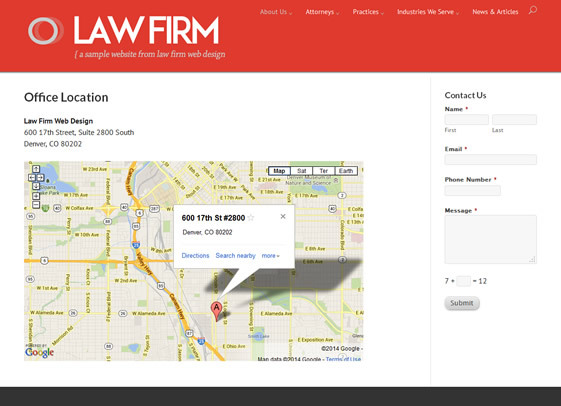 For larger firms, sub-sections and the search feature are helpful. 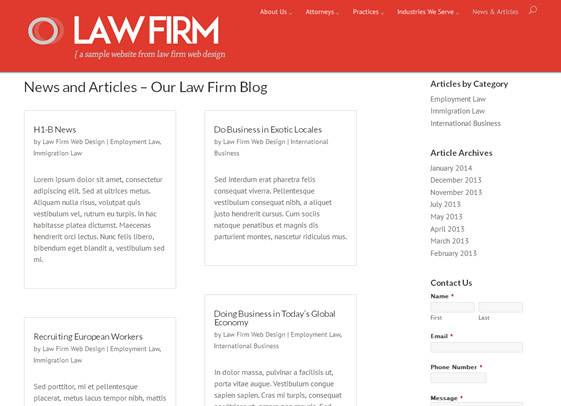 A great blog is a must for law firms nowadays and Trellis helps make your blog stand out with titled blog titles and excerpts. One-on-One Consulting Services – We’ll talk to you in person or over the phone to get to know your law firm, clients and specialties. 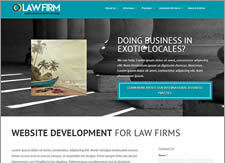 No Ongoing Fees – Your firm will pay for website development. That’s it. We won’t charge you hundreds or thousands of dollars every month for services you don’t need or use. After your site is up and going, you’ll save money by updating it yourself, whenever you want. You only pay a small yearly hosting fee! WordPress Content Management – Join over 50 million other websites and blogs! Enjoy the freedom that your own content management system can provide. Website Design – Our website design templates are simply blueprints that help get you and our designers on the same page faster. We’ll modify the design template you choose to create a unique website that meets your needs. 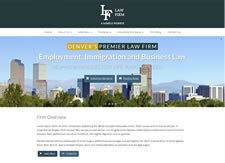 We’ll Build Your Website – After we design your site, we’ll also build it with the text you provide to us. Need a writer? Ask us for a recommendation. Online Forms let Prospects Reach You – We make it easy for prospective clients to contact you with a simple online form. Website Hosting for One Year – We provide FREE top-quality website hosting for the first year. After that, we charge a small yearly fee for hosting. 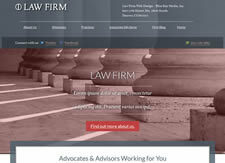 “Social Sharing” – Visitors to your law firm’s site will help build an audience for your new website and improve its ranking in search engines. We include “sharing” buttons throughout your site so visitors can promote your site for you. Website Analytics – Easily find out how prospects get to your website and how they use it. You’ll have access to easy-to-understand charts and graphs that help you spot trends, compare different time periods and easily visualize what’s happening on your website. Training and Support – We’ll show you how easy it is to manage your own website. We’re here when you need us, of course, but you’ll have the power to update your site with ease, anytime.